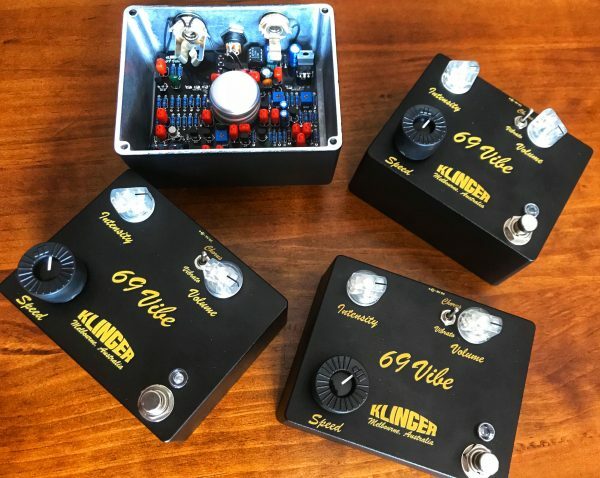 The Klinger Pedals 69 Vibe is a recreation of the classic watery effect made famous in the late 60’s and early 70’s! The 69 Vibe is a recreation of the classic watery effect made famous in the late 60’s and early 70’s by players like Hendrix, Trower and Gilmour. 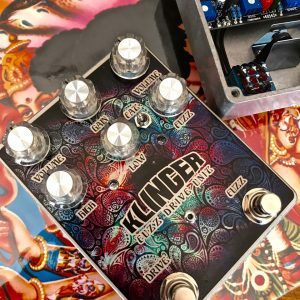 Designed in 1968 by Japanese company Shin-ei to replicate the doppler effect or rotating speaker, this pedal ended up with a sound like no other. After purchasing one of the early units when I was a kid it was always a dream to have a pedal board friendly unit I could use that sounded like the originals ….. I think I’ve done it, but you be the judge. Handmade in Melbourne Australia. 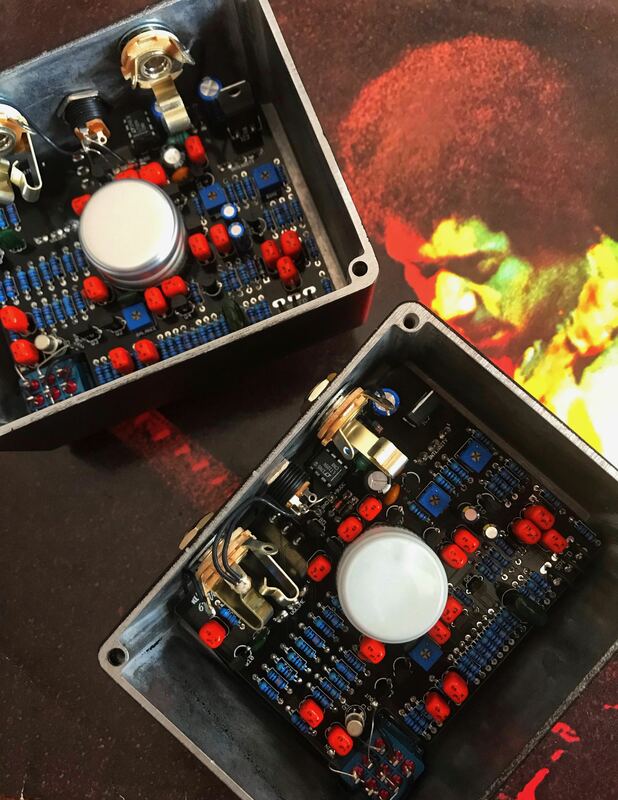 Just like the Original, every unit is tuned and tested by ear making sure it sounds they way it should using the best quality workmanship and parts I can provide. 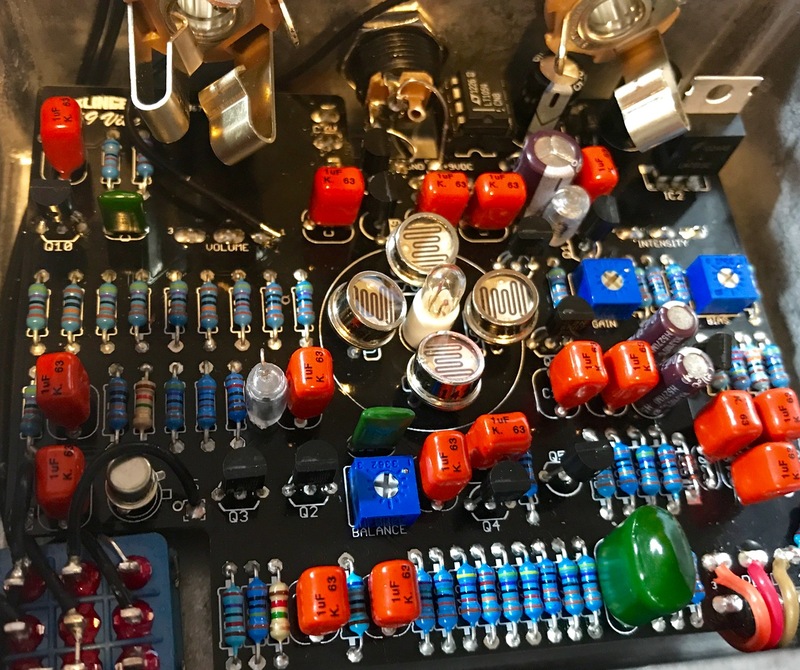 Teflon wiring, Alpha pots, switchcraft jacks, and high quality true bypass footswitch. The 69 Vibe is powered standard 9v boss style adaptor (100mA). Hope all is well. 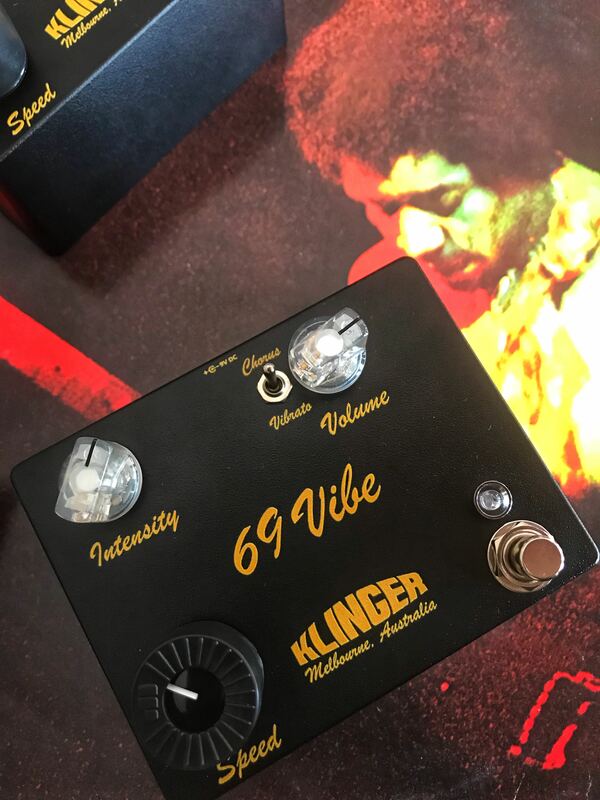 I am a musician from Montreal, and I saw the demo of your 69 vibe from Burgs, and it’s sounds awesome. 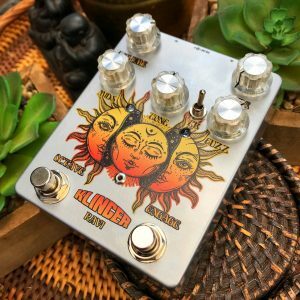 I’ve had and tried many of the most popular vibe pedal and would really like to try yours. It says out of stock on your site, any idea when it would be available again, and if so, what is your lead time for building these ? Thank you so much for contacting me. I only make these pedals in very small batches so I had 5 up yesterday and they are gone. Have another 3 on the way so if you would like to order one I have made 3 available on the site. They will take me 1 week to build, tune, test and ship. Hi Shaun. 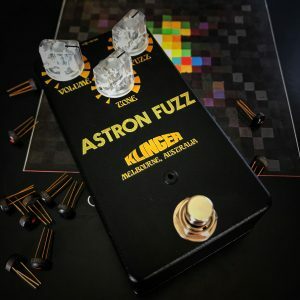 Just ordered one of those amazing sounding univibie, rotary sounding pedals, saw Burg’s review incredible sound, Im hooked on rotary at the moment, so had to get it. 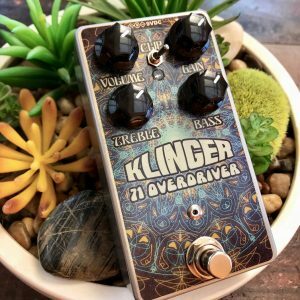 Thanks so much for your interest in my pedals and your support. Burgs was very kind doing a video for me, so happy he enjoyed the pedal too. I’m looking forward to getting the 69 vibe out to you. I’ll be shipping the orders out on Tuesday so you’ll see it soon. Hi Shaun, I would love to get one of your Vibe units. Please contact me when you have some available. Thanks! I can have one ready to go for you next week and in the mail if you would like to purchase one. I will make one available on the website. I’ve just sold my Fulltone CS-MDV-1 and will be ordering my vibe from you in 2 weeks time. Can’t wait to get my hands on one of your superb vibes! Thanks Ray! Really appreciate your support. 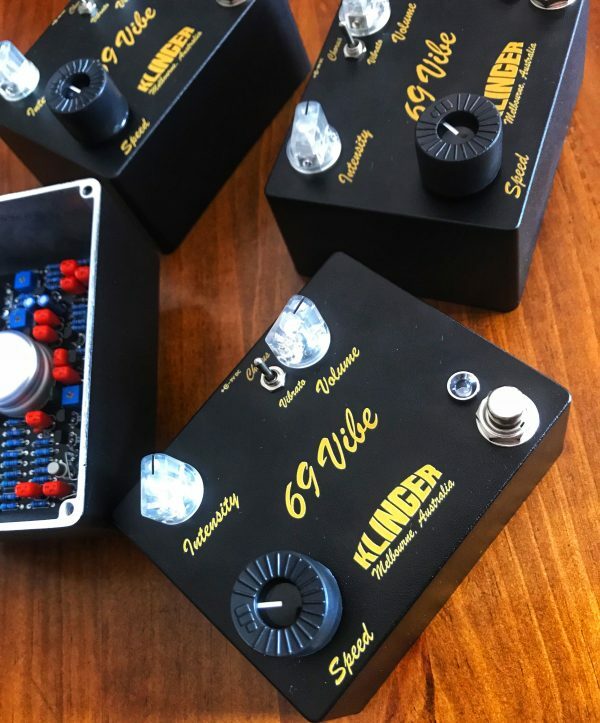 I’ve finally saved enough to buy a 69 Vibe. Do you have one available? I’ll send the money plus postage as soon as I know you have one in stock. I notice this page shows 28 Aug 2017…is that the current price i.e. $289 ? Can’t wait to get my hands on your wonderful vibe!!! Thank you for your interest. I’m currently waiting on a part from a supplier for the new patch of Uni Vibes. Hoping this part will be available within the next month.